A side story in Nepal’s tragic earthquake serves as a reminder about the skill, courage and humanity of the American soldier, and about the value of close relationships with other nations. When the 7.8 magnitude earthquake hit on April 25, 26 soldiers from the 1st Special Forces Group were in Nepal taking part in a joint military exercise. This was not the first time that soldiers from the Joint Base Lewis-McChord, Wash., unit had trained in Nepal. One Green Beret detachment was involved in high-altitude mountain training with a local ranger battalion when the quake struck. A second U.S. detachment was doing jungle warfare training in a valley closer to the capital, and closer to the epicenter of the most powerful quake to hit Nepal since 1934. None of the U.S. soldiers were injured. The special forces soldiers have skills with immediate value in this disaster. The U.S. soldiers on the mountain worked with Napalese rangers on search and rescue missions on Mount Everest, and helped set up humanitarian and first aid assistance. In the valley, the second detachment coordinated with another group of Napalese rangers to set up aid stations, coordinate mass casualty arrangements and start providing emergency services. 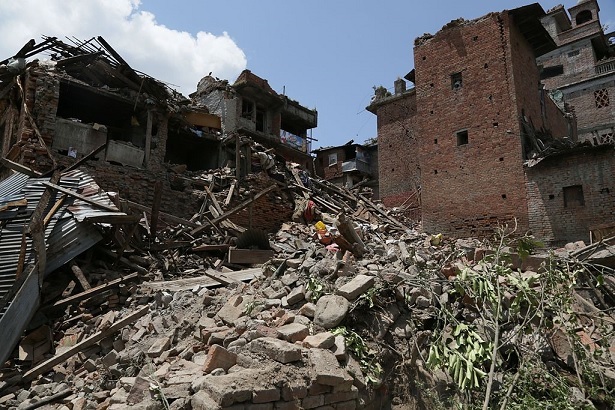 Other U.S. military resources quickly deployed to join the global effort to help Nepal, a developing country with a low-income economy that lacks the resources to respond to such a massive disaster. The presence of U.S. special forces soldiers in Nepal resulted from a long-standing partnership that has U.S. troops closely working with local forces. In this case, it was part of an extensive effort to build closer relations with allies in Asia and the Pacific Rim. Their presence in Nepal at a time when their skills were urgently needed reminded the American people of the level of skill and courage we have in our soldiers, and demonstrated for Nepal and other countries our capabilities and our humanitarian spirit.